It’s all well and good having the fanciest features and highest build quality known to man, but not every single gamer in the land can afford – or want to afford – the high costs associated with many gaming headsets. And whilst Turtle Beach certainly have high-end equipment in their portfolio, they also deal with products for the everyday man – and this is where the Turtle Beach Atlas One Gaming Headset comes in. The fact that it works with Xbox One, PS4, Nintendo Switch, PC and mobile devices just sweetens the deal. 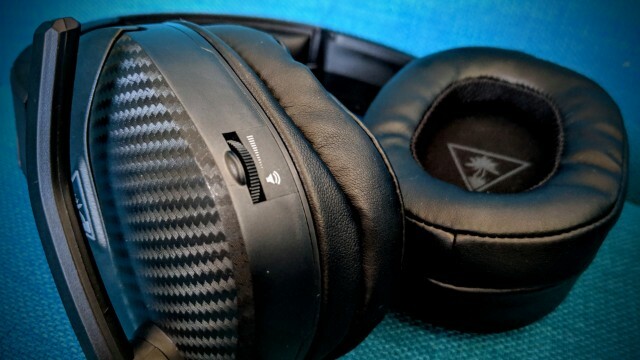 In terms of gaming accessories, the Atlas One is firmly planted in the land of the cheap and cheerful, coming in at a fraction of the price of the biggest hitters, but still being able to look reasonably decent and deliver a first class audio experience. All black in colour, your initial thoughts concerning the aesthetics of the Atlas One may not immediately be positive. 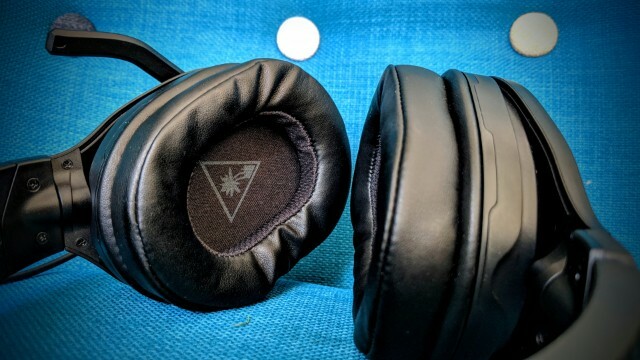 But stick it on your head, allow the well padded cups to encase your ears and sit the nicely padded Turtle Beach branded headband on the top of your bonce, and you’ll quickly forget about the scratchy plastic tone to things. The lightweight nature of them is hugely appreciated too, and even though the headband is reinforced with metal, the 245 gram weight is one you’ll hardly notice. Once you start hearing a bit of audio through the 40mm drivers, you’ll forget about the cheap look even more, and whilst I can’t sit here and compare the overall sound quality delivered via the Atlas Ones with other sets, you have to remember that these are, in many cases, a good three quarters of the price of those at the top end. And for that price what you are getting is a decent little set of cans that will do any job asked of them. With game sounds powering through with ease, their audio levels determined by the super easy to use volume dial on the left cup, there is very rarely any cause for concern. It’s good to also see that there is little sound leakage from the cushioned cups, except for when the volume really is turned up to 11, whilst the ProSpecs glasses friendly synthetic leather helps out us spectacle wearers. Taking in some party chat with mates is a great experience too, with the ‘flip up to mute’ mic working perfectly every single time. I’ve always much preferred a simple puc-mounted mute button to any other form of mute switch, allowing both hands to stay on the controller during the tightest gaming sessions, but the ease in which this mic flips into place to activate the mute is a cinch. The quality of the mic itself is also apparently high, with friends across the globe being left impressed by the smoothness of my dulcet tones. In fact, I’d go as far as to say that party chat with the Atlas One has been a pleasure. With the Atlas One taking all of its power from a simple 3.5mm jack that fixes into the audio input on any standard controller (or mobile device should you be looking for some music listening time), there is little need to be concerned over battery life either. In fact, whilst I was initially expecting a massive hit on the battery life of my controller when having the headset attached, in reality it’s been of no concern; I’ve managed to get through many a heated gaming session to full conclusion without battery issues at all. If truth be told, I’m rather taken by the Turtle Beach Atlas One gaming headset, and when you take the entire package into account, there is little to not like. You must however ensure you know what you are getting yourself into with this product – as long as you don’t go into a purchase of this cheap headset and still expect a full top-end experience, then you’ll be left happy. 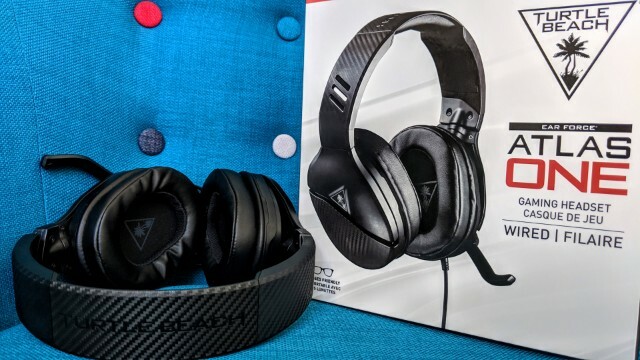 Don’t get me wrong, if you want a super cheap headset for your gaming needs, then cheaper products can certainly be found, but I’m not sure many other products out there will be able to hit the sweet spot that these nail; low price, decent build quality, great sound. Three things that are essential to most reasonably-minded gamers. See, I’m more than happy to write good things about the Atlas One. 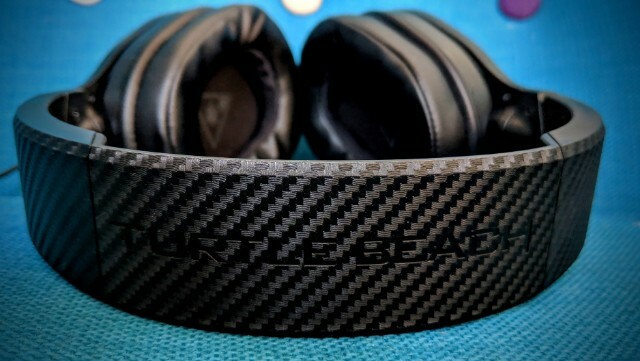 Yes it’s a bit plasticky, yes the feature set is certainly on the low side, and on a personal level I’d like just a tad more oomph to the bass, but for something that connects via a simple cable with ease, and then does the job you need any gaming headset to do – that of ensuring you are fully immersed in the game at hand – you won’t be disappointed with what Turtle Beach have done here.